Space Systems Loral (SSL) has successfully completed the Preliminary Design Review (PDR) for NASA’s Restore-L mission to provide satellite servicing in Low Earth Orbit (LEO) — with the completion of the PDR, Restore-L is proceeding on schedule to the next phase of development and its launch in 2020. 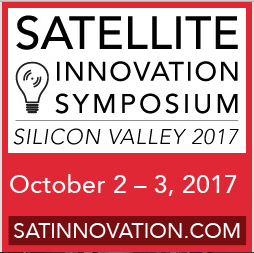 As announced last year, SSL is working with NASA Goddard Space Flight Center’s Satellite Servicing Projects Division (SSPD), to build a spacecraft that will change the nature of how infrastructure in space is managed by, for the first time in history, refueling a satellite in orbit that was not designed for servicing. 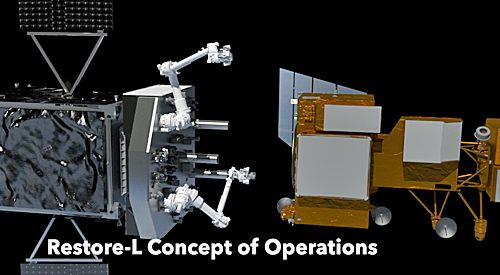 Restore-L will use robotics and an advanced suite of technologies to grasp and refuel an existing U.S. government satellite already in LEO with the goal of extending the operational lifetime of space assets, as well as to demonstrate the tools, technologies, and techniques that will help enable future space exploration missions and a new U.S. satellite servicing industry. The design review took place over a three-day period at SSL’s facilities and demonstrated that the Restore-L design meets system requirements. Due to the success of the PDR, Restore-L will now proceed to the detailed design phase. The SSL-built spacecraft will provide the structural support, propulsion, attitude control, data and communications interface, and power to support the Restore-L robotic payload for the trailblazing on-orbit demonstration. NASA is also leveraging SSL’s commercial capabilities and experience to help reduce cost on a variety of next-generation missions that enable groundbreaking robotics and automation technologies. These include a NASA Discovery Mission to explore the asteroid Psyche, and the Dragonfly program, which will demonstrate robotic satellite assembly on-orbit. Richard White, the president of SSL Government Systems, stated that satellite servicing in Low Earth Orbit is of great value for NASA exploration and science architectures, as well as national security. With the PDR successfully completed, SSL is on track to developing a capability that helps maintain our country’s international position as a leader in advanced space technology. In addition to enabling high value assets to continue to be used, Restore-L will test crosscutting technologies that have applications for other important NASA missions.